High temperatures can cause a shortage of oxygen in the aquarium. This is primarily a hazard to the fish or shrimp inhabitants, but also the ecosystem with its microorganisms and principally many aquatic plants do not tolerate higher degrees and the associated lack of oxygen very well. 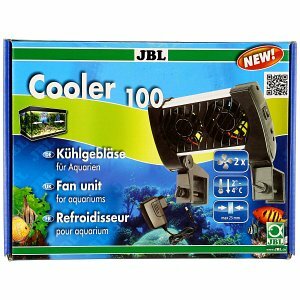 An aquarium cooler with fans is a simple solution that does not consume much power. Especially in aquariums with Bee Shrimp and their variants such as Shadow, Pintos and the like, a cooling of the aquarium water during the hot months is important. High water temperatures foster not only the lack of oxygen but also bacterial growth. Both are things the shrimp cannot handle, coming from very clean and oxygen-rich biotopes. 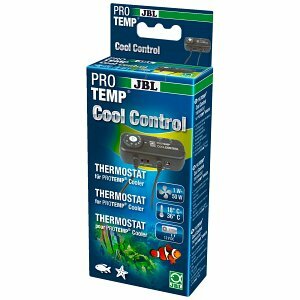 Especially for the hot summer months, an aquarium owner should have a suitable cooler ready for his aquarium. These usually consist of one or more fans, depending on which aquarium size is to be cooled. The aquarium size should definitely be considered pefore purchase. The aquarium cooler is attached to a pane of the aquarium, while the fans blow onto the water surface. The increased water movement increases evaporation, and thus creates an evoporative cooling of 2 to 4°. Suitable thermostats, which activate and turn off the cooler from a selectable value are optionally available in our online shop as well.